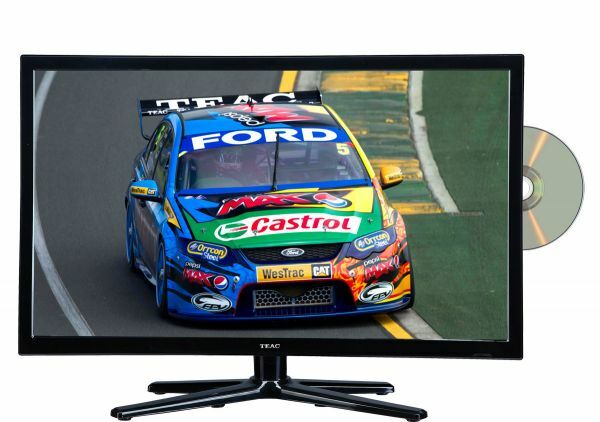 Do you live in Mount Coolum or the Coolum area and have always had poor TV reception? Now there is a solution, as the new transmitter has been completed and tested. You can now have your antenna redirected towards Point Arkwright transmitter(instead of Dulong or Bald Knob previously). It’s important to check the signal at this time, as there may be a need to remove the existing booster if your signal is too strong. Signals that are too high need to be attenuated, as over strong signals will affect digital television the same as weak signals. The polarity is also different. Previously the antenna will have been installed in the Horizontal polarity, however the new signals being broadcast from Pt Arkwright are vertical. North Buderim television antennas may also benefit from this new transmitter, and all local channels will be available. This is exciting news for those residents who have been frustrated since the move to digital tv on the Sunshine Coast, and it is excellent to now have a simple solution to get this fixed. Digital TV often gets a bad wrap, but most of this comes from misinformation. Whereas in the past analogue Tv pictures were dependent on the signal level (the better the signal the better the picture, and the picture slowly gets worse as the signal deteriorates), Digital TV isn’t like that at all. Digital TV on the Sunshine Coast has a cut-off level, and it’s only about a third of the way up the spectrum. What happens is TV signals fluctuate, and so if you are too close to that cut-off level, it will work sometimes, but as the weather (or more commonly the change in temperature when day changes to night around 6pm) your signal drops slightly, and this puts you on or below the cut-off level, and you experience pixelation. Also important to note that each channel is broadcast separately and using their own equipment; the reason only some channels may pixelate and not others. What this means to your house is that a full new antenna system and cable and booster may not be required, as you may only need a slight increase in signal to push you enough above the cut-off level that you don’t see break-up. 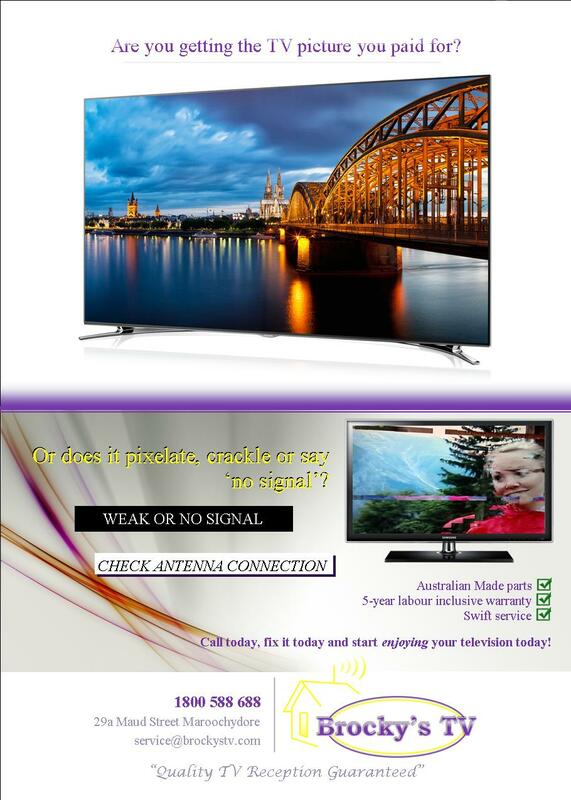 At Brocky’s TV we explain the why about digital tv, as well as guaranteed solutions. We give a 5-year labour inclusive warranty, so if you do need to upgrade your antenna system, you will have peace of mind that it will last. 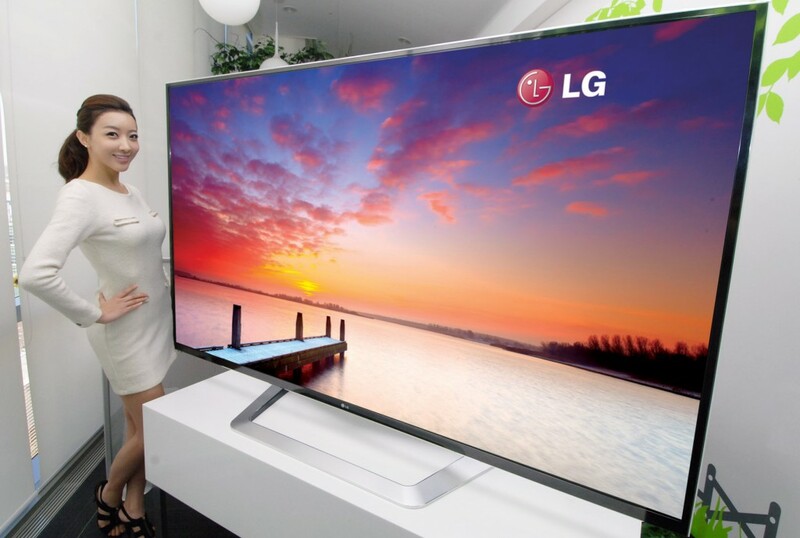 Get ready for the newest in picture quality with 4K television technology. It’s 4 times the resolution of 1080p and is set to open our eyes about true High Definition viewing! 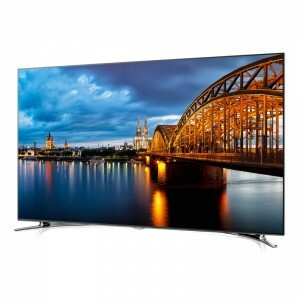 Currently, we have Blu ray High Definition available, and most of our televisions can handle this 1080p resolution. 4K Ultra is simply better in the same way as HD was better than DVD. 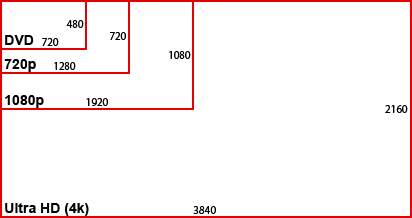 The added resolution makes the picture easier to look at, as well as displaying the true image faster than ever possible with High Definition. Just like the introduction of HD Blu ray, it will take time for a full variety of 4Kultra content to become available for viewing, however rest assured that not only will all new content be 4KUltra High Definition, but also our old favourites will be remastered, and reproduced in stunning 4K quality as well. If you are looking to purchase a new television that is future proof, your choice must be 4K Ultra. Be prepared for the current price tag though and be sure to inquire with our team which is the most suitable brand for what you are hoping to enjoy!